Also known as bok choy or Chinese white cabbage, Pak choi is grown for its stalks, which are used in Asian cooking. It is also delicious raw. Each plant bears 10-14 erect stalks, 8-10" long. Grows best in cool weather and can be grown as a spring or fall crop. Chinese Cabbage, Pak Choi, Joi Choi Hybrid is rated 4.1 out of 5 by 14. Rated 5 out of 5 by LaurenA from Joi Choi earns respect! I have grown this variety for 3 years now and it keeps impressing me. It is certainly a Spring or Fall vegetable. It does bolt in hot weather but so do all brassicas. That is not a knock against it. Grow it at the right time of year, with the right temperatures and you will be amazed! It is not a very demanding crop at all. I've had deer eat it to the ground when I planted it outside my garden fence and it grew right back (I have very hungry deer in my neighborhood). I planted some in zone 6 in October (transplanted, started in September). I covered them with a fleece row cover and a little mulch and I just checked on them in March. Not only are many of them still alive, they are GROWING. We had below zero temperatures and a polar vortex of cold, snowy weather this year and they SURVIVED with minimal cover. This will be the first thing I harvest this Spring, around the beginning of April. I eat them raw in salads, stir fry them and blanch and freeze the greens for soups and other recipes later. I will never not grow it. It has become a staple of my garden. The most dependable vegetable I grow! Nothing can kill it! Rated 1 out of 5 by collector1924 from Don't Buy PAK CHOI pechay ! I bought a package of Seeds labeled BURPEE PAK CHOI and planted them and IMMEDIATELY they BOLTED to Yellow FLOWERS ! My Brother said what is this I said It is supposed to be PAK CHOI Chinese cabbage. I thought it was a mixup at the seed packing stage because I never saw anything bolt to seed 3 weeks after planting.. I would avoid this it is hard to tell as BURPEE sells a lot of different packages this one had 500 MG of seed and labeled LOT 17. Very disappointed as Burpee is a name I usually associate with high quality seeds. Rated 5 out of 5 by Texas Al from Grew very well Very pleased with this Pak Choi. Planted on the 16th of January and began harvest on the 28th of February. They didn't grow up into stalks, they spread out, but I started taking leaves as they became ripe. Rated 5 out of 5 by JoJoFanBoy18 from Easy to grow, fast to mature! Just as the headline says. This is by far, the easiest vegetable that i have ever grown. It requires NO ATTENTION. I started the seed indoors on march 1st, transferred to my garden mid-may and today, on June 14th got my first harvest. I didn't even have to water.. we've been getting plenty of rain so nature took care of that for me. I was expecting at least a little bit of work to come along with growing this Pak Choi, but no.. none. Just plant it, and wait. Not very long either, i was stunned at how fast it grew, it was like lightning speed lol. The only problem was bugs, the pests seem to love this one, but minimal damage was done to the leaves. I should have put some bug dust on them, but for some reason never did. I harvested this morning, and just got done eating it with my supper. I used it in a stir fry, it was delicious sauteed along with Burpee's Tangerine Dream & Costa Rican Sweet Peppers. (Which i had stored in the freezer, left over peppers from last year.) The taste of the Tangerine Dream pepper compliments this veggie like no other. 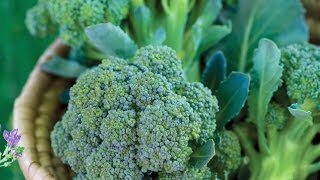 If you want an EASY vegetable to grow this no work and minimal wait time definetely go for this one. Rated 5 out of 5 by porkie from Wonderful Pak Choi This is the greatest vegetable you will ever put in your mouth! I have been ordering this for a few years now and I will not be without it in my garden ever. You can stir-fry or it's real good eaten raw. Rated 5 out of 5 by StrawberryMoon from the unbolting miracle choy In this very hot Michigan summer, I kept a row of this choy going, cooking as needed. I'll be stir-frying a couple of heads today (August 13th). I still have six more plants to enjoy cooking that have not bolted. A keeper of a variety. 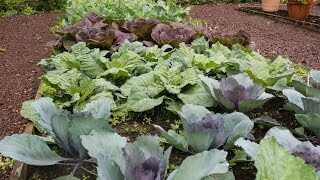 Almost untroubled by the insect mayhem that is going on in the cabbage rows in my organic no-spray garden. This one is in my notes for succession planting all summer and fall next year. Easy and pest resistant.